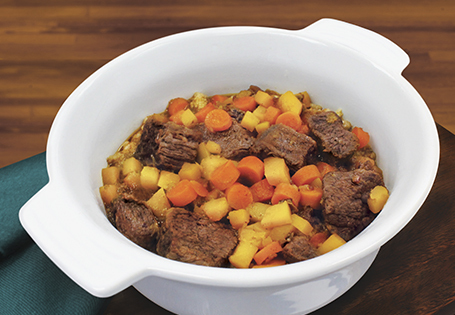 Beef stew with a sweet and spicy flavor. In a medium bowl, combine spice ingredients, remove half and reserve. Add stew meat and stir to coat. In a Dutch oven, heat vegetable oil over medium-high heat. Sauté stew meat until browned, about 5 minutes. Add reserved spices and remaining ingredients, except couscous. Bring to a boil. Cover and transfer to oven. Bake for 1 hour, 30 minutes. In a medium saucepan, prepare couscous according to package instructions.